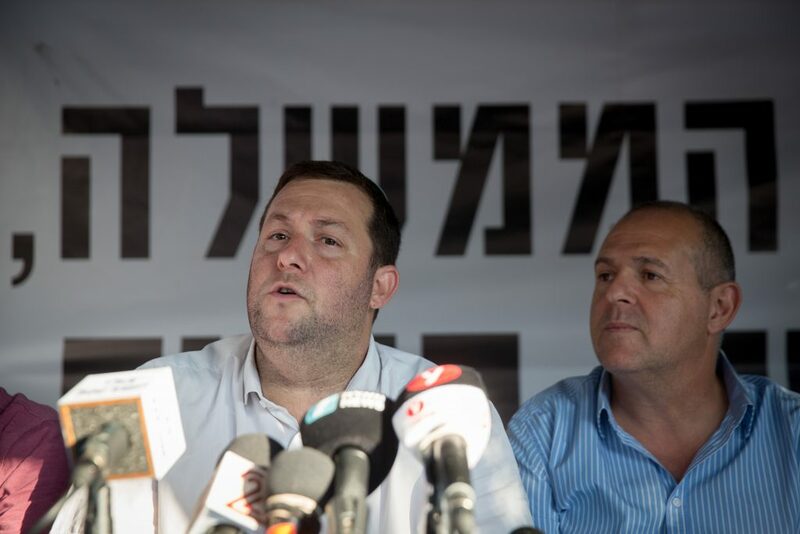 Political leaders, terrorist victims and bereaved family members from Yehudah and Shomron set up a protest tent outside the Prime Minister’s Residence in Yerushalayim on Tuesday to demand an upgrading of security in the region. “Mr. Prime Minister, you think that sourpusses exist only on the left. I regret to inform you that there are another half a million sourpusses in Yehudah and Shomron as well,” said Shomron Regional Council chairman Yossi Dagan, in a reference to PM Netanyahu’s speech of the day before in which he belittled his opponents as “sourpusses” for refusing to recognize his many successes. “[Yehudah and Shomron] residents do not receive the basic right to security. The nationalist camp won the elections (promising) to pave these roads and build up the settlements,” Dagan reminded the prime minister. “You know, we worked very hard to put you in power and for there to be a right-wing government. The entire settlement movement was mobilized for this purpose. And we are sitting here today very disappointed,״ said Beit Arye Local Council chairman Avi Naim. Dagan called on PM Netanyahu to authorize a transfer of 300 million shekels ($85 million) that he promised two years ago to finance improved bypass roads and other security measures in Yehudah and Shomron. Last week, Defense Minister Avigdor Liberman announced his support for a “defense envelope” for the entire region, while he admitted that funding did not yet exist for it. Victims of terrorism in Yehudah and Shomron rose to speak, as well.